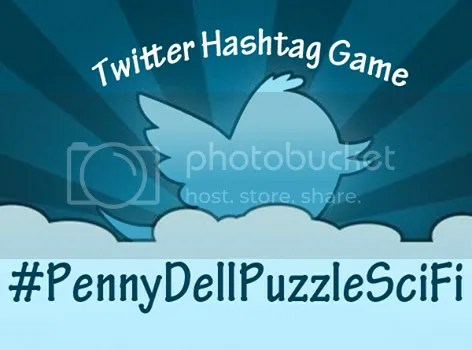 This entry was posted in Games, PuzzleNation, Puzzles and tagged 1984, 3rd Rock from the Sun, 42, @midnight, A Clockwork Orange, A Wrinkle in Time, About Us, alien, Anakin Skywalker, and everything, Armageddon, Asimov, Attack of the Clones, Back to the Future, Battlestar Galactica, Beam me up, Big Trouble in Little China, Captain Janeway, Captain Kirk, Close Encounters of the Third Kind, Curse your sudden but inevitable betrayal, Deep Space Nine, DIY puzzling, Do or do not, doctor who, Doomsday Book, E.T., E.T. The Extraterrestrial, Ender's Game, Ex Machina, Face Off, Face/Off, firefly, Flash Gordon, Flowers for Algernon, Follow-Up Friday, Galaxy Quest, games, Garth Marenghi's Darkplace, Geeking Out, Godzilla, hashtag, hashtag game, hashtag wars, Hitchhiker's Guide to the Galaxy, In space no one can hear you scream, James T. Kirk, Jean-Luc Picard, Live long and prosper, Make it so, May the Force Be With You, needs of the few, Nineteen Eighty-Four, Obi-Wan Kenobi, Penny Dell Puzzles, Penny Press, Penny/Dell Puzzles, Person of Interest, Phone home, Pop culture, Puppet Master, Puzzle SciFi, PuzzleNation, Ringworld, Robocop, Scanners, Schmovie, science fiction, scifi, Scotty, Serenity, Slaughterhouse-Five, Spaceballs, Star Trek, Star Wars, Starman, Tales from the Crypt, Tales from the Dark Side, The answer to life, The Day The Earth Stood Still, The Empire Strikes Back, The needs of the many, The Terminator, The Trouble with Tribbles, the universe, The Wrath of Khan, there is no try, These aren't the droids you're looking for, Time lord, War of the Worlds, Weird Science, When Worlds Collide, Wordplay, X-wing fighter, You can't take the sky from me by gmdirect. Bookmark the permalink.